Public relations this is a continuation of the work I’ve done in New York since 1995. I write compelling pitches and press releases, outreach to the most appropriate media contacts and generate meaningful coverage for my clients. My experience and media relationships in North America are perfect for companies in Israel’s booming high tech sector, who want to make an impact in the U.S.
Social media strategy & implementation since I live on Facebook and Twitter, when I was offered the job managing the Facebook page and Twitter feed for the world’s largest coffee marketplace ROASTe, I said why not? Having grown their FB fan-base almost 600% (as of Oct 2010), picked up new clients in the space, planned strategies for LinkedIn, Flickr and Foursquare, learned basic HTML and created custom tabs and landing pages, I realized I’ve got the bona fides to join the ranks of experts in the new Wild West of social media. Copywriting when friendships among Tel Aviv’s dynamic Twitter community led to a job writing the new homepage for Sparkeo, and that led to several more jobs writing text for mobile apps and websites, I realized I had a third strong service I could offer clients. I really enjoy copywriting work. I mostly work from home w/ my rescued shelter-dog companion Petey, although sometimes I do copywriting work on site at my clients offices. Owning my own business is an experience that is definitely beyond my wildest dreams. 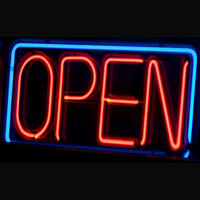 I’m especially excited to launch scottpiro.com today and hang my own OPEN sign out in cyberspace. Wot Went Wrong? – Nothing! Last summer I met an Australian entrepreneur with a big idea – create an online way for people to find out why a date or new relationship that seemed so promising…vanished. Audrey Melnik developed her concept into a web app called Wot Went Wrong and tapped me for its media launch. Right from the start, I sensed the project had runaway media potential – to plug into that zeitgeisty ‘sweet spot’ – a way to finally answer the timeless question of “Why didn’t he call?” that the media would love to write about. As I researched the dating apps that received the most coverage during 2011 to pinpoint my top targets list, I saw a pattern around which I could craft the perfect narrative. The coverage was completely lopsided: There were a ton of dating apps – every month a new one would receive heaps of splashy coverage in the biggest tech & social media blogs – but almost no breakup apps. I knew that was my hook – and even created a Delicious stack for my pitch to build out this premise. Our success exceeded my expectations. Coverage in outlets like The Huffington Post, All Things D, The Wall Street Journal, ABC News, CNN, Yahoo! Shine, A.P., Reuters, CNET, Jezebel, Glamour, Forbes, FastCompany, The Atlantic Wire, Read Write Web, Thrillest, UrbanDaddy and YourTango took our cumulative audience impressions past 400 million in only six weeks. The project didn’t include broadcast outreach, but that didn’t stop TV & radio news outlets in L.A., Chicago, Dallas and Phoenix and cable networks in Canada from seeking us out and interviewing Audrey on air. Then, we went global. With absolutely no outreach to foreign markets, we received coverage in the U.K., Australia, New Zealand, Brazil, Japan, China, Hong Kong, India, France, Belgium, Italy, Spain, Ireland, the Netherlands, Croatia, Slovenia and Mexico. In Q4 2011, my work w/ nanoRep – the helpdesk that gets smarter with every question asked – produced another crop of PR results. The highlights included new case-studies with nanoRep customers in Inc., InformationWeek and CRM Magazine. They continue the streak generated by our first press release and media relations follow-up in August. I also wrote the copy for three homepage slides – my proud contribution to nanoRep’s new website design. After generating CNBC coverage last year for mobile chat all-stars fring, we collaborated again on an exciting contest to give away a live video chat with soap star, Antonio Sabato, Jr. The contest was promoted in a story in Soap Opera Weekly’s Oct. 11 issue and online via sister website Soap Opera Digest. Entries are being processed on fring’s website through October 17, and the contest is being promoted via social media from both Soap Opera Digest and fring. Here’s a video of Antonio using fring to video chat with his fans. The contest winner can expect similar treatment from him. Because I Care – Israel, the nonprofit organization dedicated to improving environmental awareness and social activism in Israel, has lauched their new website, and it looks tremendous. I’m proud to have authored all its core content. An extremely talented graphic designer named Tamar Yadin did all the artwork and social media integration. Congratulations! As a result of my outreach, the United Parents Child Protection Service™ and its CEO Hanan Lavy were featured in technology reporter Byron Acohido’s USA Today story on internet risks for children. The article includes a pair of quotes from Lavy, and United Parents is the only online child-safety product mentioned. Last summer I began working with innovative help-desk startup nanoRep, whose product is amazing and boasts two, patent-pending technological advancements over industry standards. Other customer-support solutions successfully leverage social media to connect customers to reps quickly and easily, but in the big picture they all encourage the expansion of the support department. That’s great for customers, but expensive for companies. nanoRep is first to develop a solution, which not only provides a great user-experience for customers, but also allows companies to grow their business without escalating support costs. As a result of my outreach, Read Write Web included nanoRep in a trend story alongside recognized help-desk leaders Zendesk and Assistly. Other coverage included case-studies of nanoRep clients in InformationWeek, Internet Retailer and 1to1 Media, and writeups in E-Commerce Times, Business News Daily, MSPmentor, Startup Beat, TMCnet and Website magazine. In May I teamed up with PKPR to launch a new humor website from comedy legend Tony Hendra. TheFinalEdition.com launched with a no-holds-barred parody of NYTimes.com, imagining the paper’s last ever issue. This Is Spinal Tap fans know Hendra from his role in the cult classic as band manager Ian Faith, but his comedy chops extend way beyond into breakout parodies like Not The New York Times (1978), Off The Wall Street Journal (1982), and one I worked on at PKPR in 2008, My Wall Street Journal. Reuniting with an irreverant genius like Hendra was a gas, and my outreach secured him top web culture coverage including Time.com, Wired.com, Politico, Salon.com, The Atlantic Wire and The Next Web. XTeam Training LTD offers the world’s leading virtual training game for strengthening corporate teams and managers, and adapting online play for real world success. Their combination of task-oriented group simulations and post-game debrief sessions provide global teams real-time interaction that’s fast, economical and effective. In April 2011, I collaborated with XTeam on writing the homepage and various ABOUT US components for their new website. I’m excited to help introduce this cost-effective way to train teams stationed across the globe to human resources departments in corporate America. They are singularly focused on extracting virtual gaming’s unique potential to supercharge business teams and managers for better real-life performance. Strengthening their position as the leading solution for parents who want to safely guide their children’s online activities without sacrificing privacy, United Parents officially launched in North America in May 2011. I helped tell their story to media outlets across the continent. From tech bloggers to family & parenting reporters to writers covering startups, interest is strong for the first, next-generation online child-safety tool. Coverage highlights included Reuters, San Francisco Chronicle, New York Post and Sirius Satellite Radio. Wellness Week, SpaFinder.com’s biannual initiative aimed at helping people jumpstart healthier and happier lives took place again between March 21-27. Spas and fitness centers across the U.S. offered ½-price and flat-rate $50 deals on everything from massage, wraps, and facials to nutritional counseling, acupuncture, yoga, Pilates, and more. For the third time, New York PR superstars PKPR generated record media coverage for the world’s largest spa marketing and media company’s breakout event – managing national publicity simultaneously with over forty local campaigns. I was thrilled when my friend and former employer Patrick Kowalczyk (‘PK’) tapped me to take the reins for Atlanta, Baltimore, Boston, Chicago, Dallas, Detroit, Houston, Miami, Orlando, Philadelphia, Tampa, Washington and a handful of smaller markets. I once led the SpaFinder account at PKPR, and it was great to be back in that saddle. TEL AVIV GAY VIBE is a collaboration between Israel’s Ministry of Tourism, the Tel Aviv Tourism Board and Israel’s preeminent LGBT institution, the Agudah to fulfill the city’s promise as the world’s newest gay capital. The tourism campaign approached me in 2010 to write promotional material for the “Win the Vibe!” contest on its Facebook page. The sweepstakes called for fans to submit user-generated content to vie for a travel package prize to Tel Aviv. Its success led the campaign to tap me for other projects, including writing content for the page’s new custom tabs, a press release for the Tel Aviv Gay Vibe Beach Party in Cologne, Germany and promotional materials for the Tel Aviv Gay Vibe Endless Summer Weekend. I assumed the page’s administrator responsibilities, filled it with daily content and steered conversations with fans – all of which more than doubled the fan count within six months. In 2011 the campaign will launch a companion website to book online travel packages and syndicate a daily rundown of the city’s LGBT events. ‘I’m excited to be the site’s webmaster and oversee blogging and publishing duties. Saki-Kaki is the flagship program for Because I Care – Israel, a nonprofit organization dedicated to improving environmental awareness and social kindness in Israel by strengthening the concept of respect in the hearts of Israelis. A household name in Israel, Saki-Kaki provides dog-owners with convenient, disposable bags to clean up after their dogs via a network of eye-catching dispensary boxes on sidewalks and in parks. The program distributed over 5 million bags in 2010, and expansion continues throughout the country more than seventy-five cities, Kibbutzim and Moshavim. In 2010 they tapped me to create their Facebook page and publish daily, relevant content to people interested in the core values of respect, teamwork, conflict resolution and more. In 2011 I began collaborating with Because I Care – Israel to create content for their new website. Through this project, I’m excited to help the organization launch their newest project – an education program aimed at Israel’s kindergartners with the goal of raising a new generation of cooperative leaders and problem solvers. United Parents Child Protection Service is the solution for parents who want to safely guide their child’s online activities and respect their privacy. The group of internet security and child safety experts realizes that today’s children have more social interactions on the web than anywhere else. Their software identifies and roots out potential child predators and cyberbullies, while keeping the details of kids online conversations private. I’ll be directing a national PR campaign for them in 2011 to introduce their solution to the U.S. market. In 2010 I did the copywriting for their new website and web app, which also included SMS alerts and administrative emails. They are now in a closed beta program, which will soon expand to wider testing. Click here to register for their open beta and be notified when it’s available. In June 2010 I was hired to generate (American) national broadcast coverage for Israeli mobile communication startup fring. The timing of the project was just before Apple’s World Wide Developer Conference (WWDC) 2010, where they would unveil the iPhone 4. One of the biggest rumors about the new iPhone in advance of its launch was that it would contain a second, front-facing camera enabling two-way video calling (which turned out to be FaceTime). fring had just become the first company to bring two-way video calling to Android devices. I was able to tie a pitch around fring’s leadership in the mobile video calling space to anticipation of Apple’s new device. The result was that CNBC’s Street Signs lead story the day of Apple’s WWDC announcement centered on Apple’s competition in the video chat space, and coverage of fring anchored the piece. CNBC conducted an advance video interview with fring CEO Avi Shechter via the fring mobile app, which was included in the piece. In January 2010 I picked up my first client as a freelancer. ROASTe is an e-commerce site selling specialty, micro-roasted coffee and coffee-related products. Since launching in late 2009 they have become the largest marketplace for gourmet coffee online or off. Initially I was hired for social media implementation to research and publish relevant, coffee-related content to their Facebook page and Twitter feed. Through fan & follower engagement, including holding interactive contests on both platforms, creating a gifting application and monthly poll on Facebook and retweets and #FollowFridays on Twitter, I was able to grow their fan-base almost 600% (as of October 2010) and more than double their number of followers on Twitter. My initial project included authoring original blog posts, which I did under the heading biscotti (get it?). I chronicled my journey from coffee lover to coffee geek via weekly posts where I cupped a different single-origin coffee. Later, I reached out to the fifty micro-roasters who sell through the site and began posting interviews with a number of them. In March 2010 my role expanded to include PR services. I created ROASTe’s online press room and began both media and blogger outreach. Coverage includes: Boston Herald, Thrillist, The Seattle Times, WBZ-AM (Boston), WGN-TV (Chicago), Specialty Coffee Retailer, The Gourmet Retailer, Fresh Cup Magazine and Internet Retailer. One month before moving to Tel Aviv, Israel in March 2009, I began my position as Communications Director for ORAM – Organization for Refuge, Asylum & Migration. Founded in 2008, ORAM is the first migration organization focusing exclusively on refugees fleeing sexual and gender-based violence worldwide. ORAM’s vital work includes providing clients with free legal representation and conducting advocacy and education on their behalf. During my year and a half with the humanitarian NGO, coverage I generated included PerezHilton, The Advocate, Miami Herald, Philadelphia Gay News, EDGE Publications, The Forward, and DNA. ORAM also afforded me a tremendous opportunity to expand my skill set. I wrote and maintained the entire website, built relationships with other institutions including NGOs, academic programs and law schools, and trade and professional groups, and I managed a staff of interns spanning three continents. I departed in May 2010 when ORAM moved into their new offices in San Francisco and remain very proud of my role in successfully launching this vitally needed organization. Lesbian, Gay, Bisexual and Transgender (LGBT) refugees are among the most persecuted people in the world today. ORAM remains the first and only NGO to focus exclusively on their plight. Sed dignissim bibendum just et sollicitudin.